^ 1.0 1.1 Dagan, Carmel. John Heyman, Distinguished Financier and Producer, Dies at 84. Variety. 2017-06-09 [2019-01-19]. ^ 2.0 2.1 Producer David Heyman and the lives of outsiders, from 'Potter' to 'Pajamas'. Jewish Journal. 2008-09-11 [2019-01-19]. 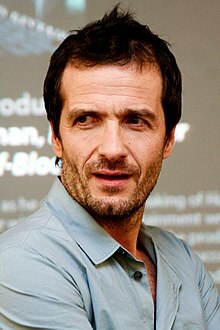 ^ 3.0 3.1 "Harry Potter" Producer David Heyman's Jewish Connection. Jewish Journal. 2011-07-14 [2019-01-19]. ^ Pulling power: meet David Heyman, the super-producer behind Gravity. Evening Standard. 2014-01-10 [2019-01-19]. ^ David Heyman: Man behind the magic. The Independent. 2011-07-02 [2019-01-19].